Valérie is the author of Thank You For This Moment. Valérie Trierweiler was born in Angers, the fifth of six children. 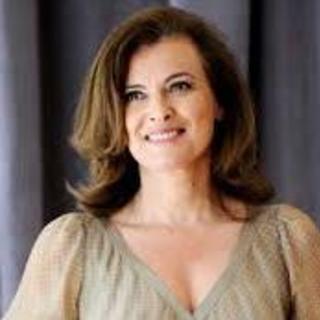 After studying history and political science, taking a Master’s from the Sorbonne, she forged a successful career as a political journalist, writing for Paris-Match magazine and hosting political talk shows on Direct 8. She began a relationship with François Hollande in 2007 and became the First Lady of France on Hollande’s election as President in 2012 . In January 2014, their relationship ended when Hollande’s affair with actress Julie Gayet was revealed by the press, rocking the French political establishment. Trierweiler lives in Paris and has three children.